6th issue of Volume 7. 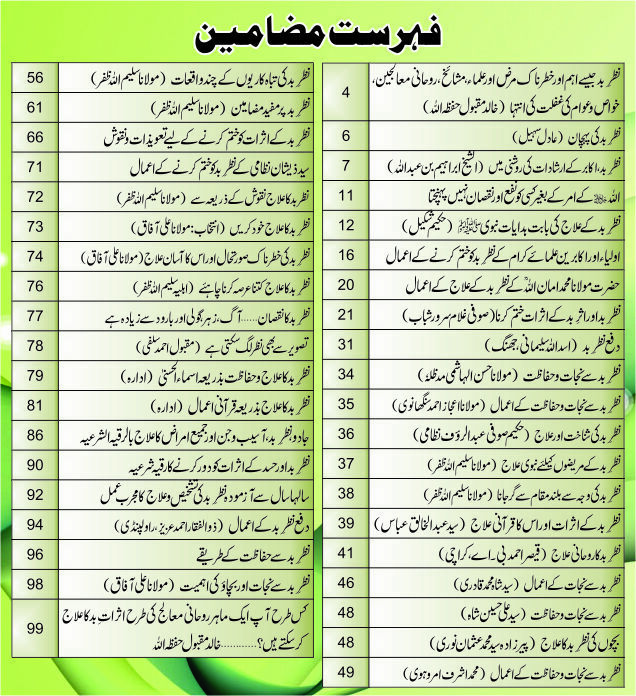 A magazine in urdu language mainly based on spiritual treatment and information on EVIL EYE (Nazar-e-Bad). Nowadays, many people are suffering from EVIL EYE (Nazar-e-Bad) and facing difficulties in their lives. Very useful magazine for everyone.